George W. Bush played pizza delivery man for a day as he handed out several boxes of pies to his Secret Service detail -- currently working without pay during the partial government shutdown. Interested in George W. Bush? 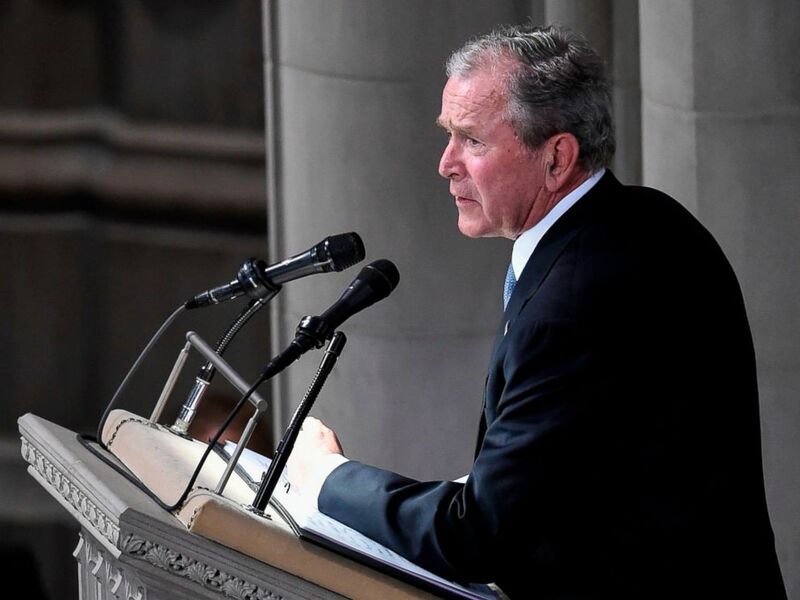 Add George W. Bush as an interest to stay up to date on the latest George W. Bush news, video, and analysis from ABC News. Bush, along with first lady Laura, thanked the Secret Service personnel in an Instagram post Friday afternoon. He's seen carrying three pizzas, with another three boxes on the way, for the unpaid personal protectors of the former president. "@LauraWBush and I are grateful to our Secret Service personnel and the thousands of Federal employees who are working hard for our country without a paycheck," he wrote. He also added a rare, if tepid, political statement to the post, saying, "It's time for leaders on both sides to put politics aside, come together, and end this shutdown." Bush, who lives in the border wall battleground state of Texas, signed the Secure Fence Act into law in October 2006, and called it "an important step toward immigration reform." The law paved the way for hundreds of miles in border fencing and doubled the funding for border security -- but Bush has been mum on Trump's push for a border wall. As the shutdown enters its 29th day on Saturday, Secret Service personnel are among the hundreds of thousands who aren't being paid. "The way that works is FBI agents have an FBI credit card but they have to pay the bill," FBI Agents Association spokesperson Paul Nathanson told ABC News. "These agents have to buy tickets to go overseas and they can't get reimbursed for that money. So not only are they not getting paid, they're putting out money for their jobs and not getting it back until the government opens." ABC News' Luke Barr and Josh Margolin contributed to this report.